Falafel is a very famous dish of Middle East. It is a traditional Arab food. This dish is popular as a street food around the world. They say it was first made in Egypt. Falafel is wrapped in a burger or eaten alone as a snack. 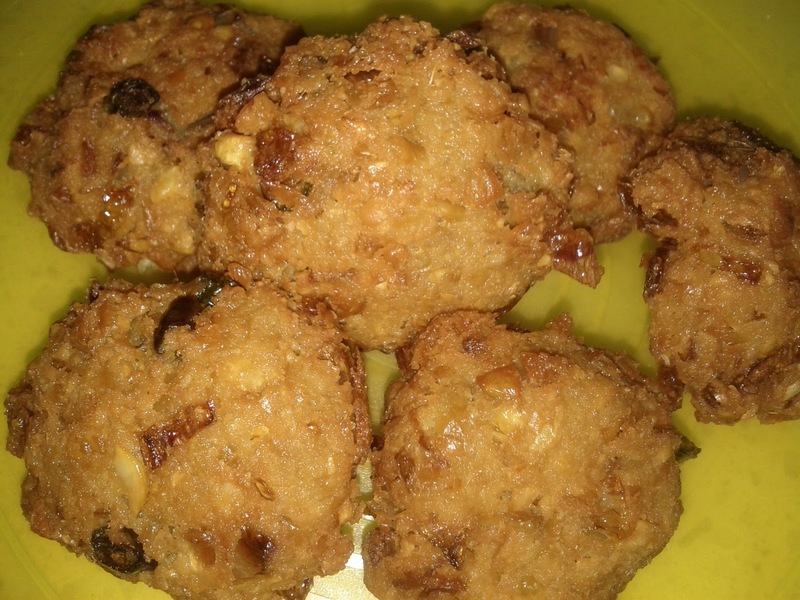 The procedure is similar to Parippu Vada / Chet Ambodo but the only difference is replacing chana dal with chickpeas. I got to know about this dish from my mother-in-law and I tried it the very next day out of excitement. 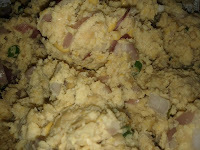 I gave a little desi tadka and I must say, it tastes awesome. You too enjoy this snack along with hot tea and experience it's yummy taste. The traditional falafel recipe doesn't have green chilies and ginger in it. I have added it to make the dish little spicy. If we don't soak chickpeas for enough time, vada might become hard and very crispy. Falafel taste best when they are served hot. Traditional falafel recipe includes use of fresh parsley and flour also. But i am not using it. Wash dried chickpeas and soak with enough water to cover it in a bowl, for about 4 hours. Drain them and make a coarse paste of it in a food processor or mixer. 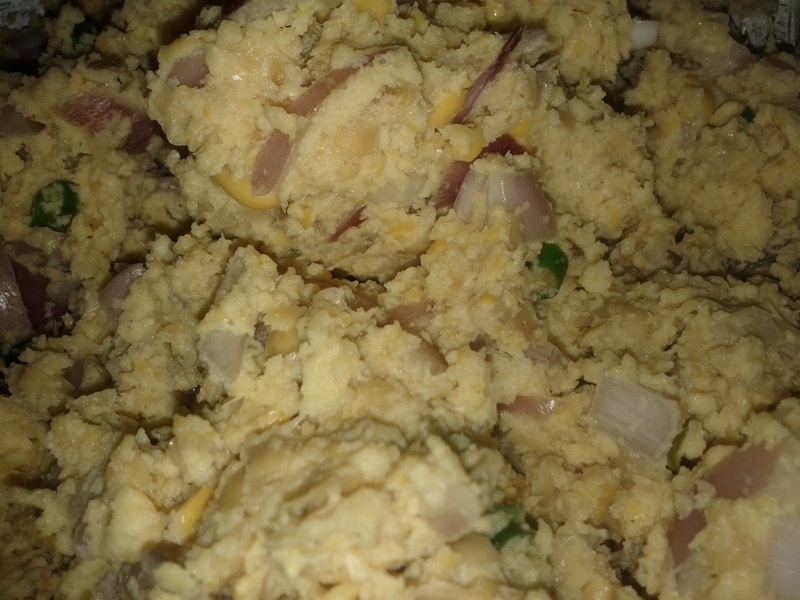 Take a bowl and mix all the above mentioned ingredients along with chickpeas paste to form a dough. Slowly drop the flattened ball called falafel into the frying pan. Fry the falafel until both sides are golden brown. Remove the falafel and place over a paper towel. Serve hot with any accompaniment of your choice or wrap it in between sandwich.